Featuring a rather groovy far-out selection of SpaceRock, Prog-Rock, Psychedelia & Obscure festival bands. 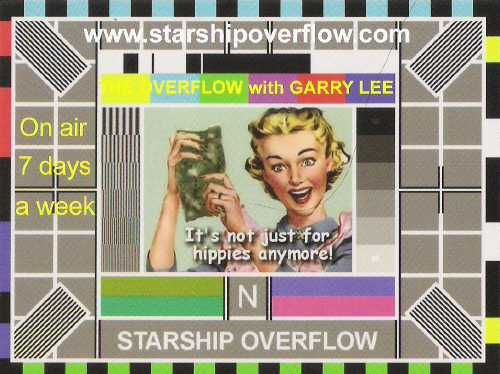 To listen, log on to : www.starshipoverflow.com and click on the 'Listen to The Overflow' page in the main menu on the left. There you will find our player & also a link to play the stream in a player of your choice. We recommend 'Winamp'.